Patience is a virtue, and one Xbox and PlayStation apparently take very seriously: It's looking like both are waiting until 2014 to release next-gen consoles. Last we heard, the next Xbox console was speculated to debut in 2015, but a new report from Kotaku claims that PlayStation and Xbox are aiming for 2014. "Industry sources"" say that Sony and Microsoft are both planning to squeeze as much life out the PS3 and Xbox 360 as possible before introducing the next generation versions. Does three years feel like an eternity to you? 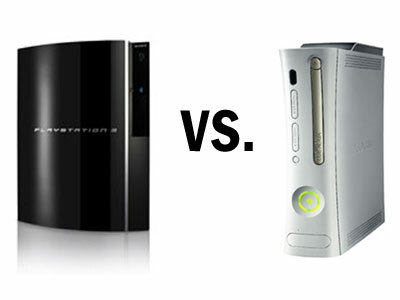 Maybe – the Xbox 360 was introduced in 2005, and the PS3 in 2006. Both consoles are just now hitting their strides with new software that is pushing the hardware to its limits, but both systems may start showing their age sooner rather than later. So for those that are ready for the next-gen, the good news is that an insider said 2013 isn’t out of the picture, but only if one of them "feels pushed." There is also a chance that a 2013 product launch for Microsoft could be a "Kinect-upgraded 360," followed by the upgraded console the next year. PlayStation gamers have no such luck with an earlier upgrade: Spokesperson Patrick Seybold said Sony PlayStation is "laser-focused" on its existing lineup and coming handheld device. If it’s any comfort, the wait should be worth it. While it appears that both companies are trying to eke every last dollar out of their current models, they aren’t entirely trying to torture their loyal gamers. Microsoft and Sony are likely both focused on taking big steps with a new device, delivering noticeably advanced technology and entirely new features for their consoles. Details about either machine are still relatively unknown, although there have been whispers about an Xbox 720, that could feature Blu-ray capability and 3D. This is all good news for Nintendo, which would have the attention all to itself and the Wii 2 at E3 this year – not to mention the lack of competition for the new console when (can we say "when" yet?) it appears on shelves in 2012.